Visitors climb to the top of the Ute Trail. County officials said Monday the trail remains closed while they wait to see what kind of rock mitigation they need to do on loose rocks at the top of the trail. 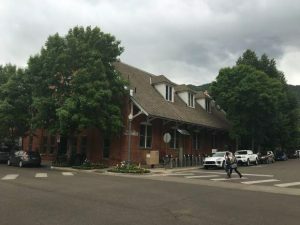 One of the most popular hiking trails in Aspen will remain closed for the foreseeable future while officials figure out how to deal with loose rock at the top of the trail. The Ute Trail, which snakes steeply up Ute Mountain on Aspen Mountain’s east side, has been closed for about two-and-a-half weeks after a half-dozen large boulders came tumbling down to the bottom during a thunderstorm, said Austin Weiss, the city of Aspen’s parks and open space director. 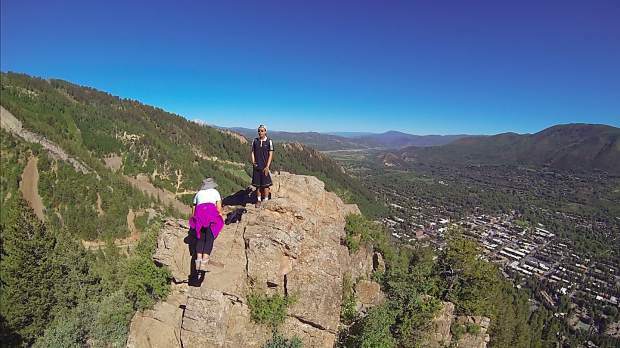 The rocks broke loose from Ute Rock, the large rock formation at the top of the trail that offers stunning views of Aspen and the surrounding area, he said. “(The boulders) brought down trees when they came down, and one left a decent-sized hole in Ute Avenue,” Weiss said. “They crossed the Ute Trail in a couple of places. People were using the trail at the time, though no one was hurt, he said. 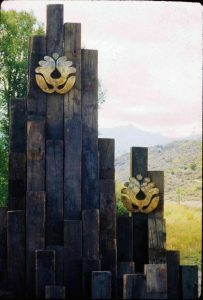 While Ute Trailhead is on city property, Ute Rock at the top is part of a mining claim owned by Pitkin County, said G.R. Fielding, county engineer. In between the two is mostly U.S. Forest Service land, he said. Fielding said approximately one to two dumptruck loads of rock came tumbling down the side of the mountain. 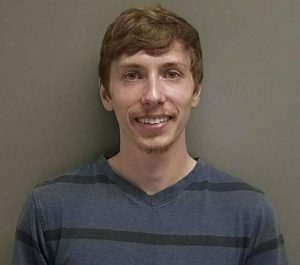 Loose rock remains at the top, and the county has hired a consulting geologist to take a look at what could come loose in the near future and how to safely deal with it, he said. 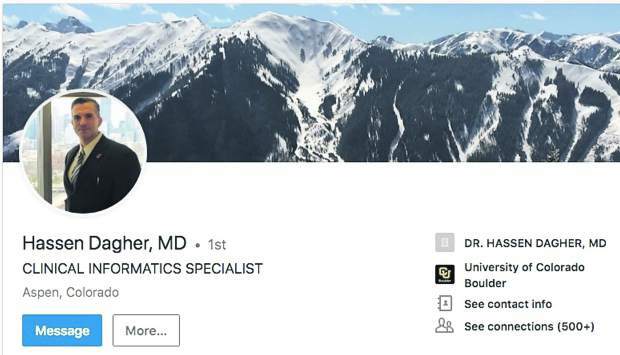 That geologist is scheduled to hike the closed trail Thursday and take a closer look at whether the loose rock can be “scaled” or intentionally knocked loose and pushed down the mountain, Fielding said. If the geologist determines that can be done, it shouldn’t take more than a couple of weeks to do it and reopen the trail, he said. Brian Pettet, Pitkin County’s public works director, said that is the preferred course of action officials would like to take. Other options include simply posting signs warning of rockfall or securing the loose rock somehow, he said. The latter option wasn’t very palatable to either Pettet or Weiss, both of whom said they’d like to avoid adding any infrastructure to the mountain. Weiss also said he wasn’t sure simply signing the area would work either because of the possible danger to hikers. “Rocks have fallen down the side of that hillside forever,” Weiss said. “But nothing the size of that particular incident has come down since I’ve been here (for the past 16 years). Pettet and Fielding said the county is estimating it will cost about $25,000 to deal with the problem. Pettet said he’s working on trying to find the money in the county budget. “We’re looking to get it done as quickly as possible,” he said. However, until the geologist can determine whether the loose rocks can be safely pushed down the mountain, there’s no timeline to open the trail. “I have no idea,” Fielding said when asked when the trail might open. Pettet said the Ute Trail is probably one of the top three hikes in Aspen, along with Smuggler Mountain and the Hunter Creek Trail. Pettet and Fielding said some people are continuing to use the trail despite the closure.